I had been thinking of making a chunkier cowl version of the 5th Avenue Infinity scarf for a long time. It wasn't until recently I found my reason to get it done. Let me tell you about Nick. Nick is the father of one of my closest friends, Torry. We met my freshman year at Boston College and I immediately gained an irreplaceable friend and new family. Debbie, Nick's wife was quickly nicknamed "Debbie Dewdrops" because she always radiated happiness. Even when her prized Boston teams were losing I swear that woman never frowned. I can see her smiling right now. I enjoyed it so much hearing them pronounce my name with their thick Boston accents. "Mah-go". Her and Nick's generosity to myself and my roomates during those years was incalculable. They became foster parents to all of us. I remember a day when I had pulled the bumper off of my car accidentally in the middle of the BC parking lot. (stupid concrete wheel stoppers) At the time I was mortifed and didn't know who to call – but Torry knew. A swift call to Nick and a few moments later reinforcements arrived. There was no time to worry because he'd be there to help. I guess it's no surprise years later it is their names that were on all our of wedding guest lists. No list is ever complete without Debbie & Nick. Recently, Nick was diagnosed with ALS or Lou Gehrig's disease. If you've read the book Tuesdays with Morrie then I am sure you know exactly what that means. Already ALS has caused him to require help doing things we take for granted everyday – eating and breathing. It's that time of year where most people begin to dig out their knitting needles after a summer's hibernation. I knit so often these days that I can't imagine what it would be like to lose control of my hands and not be able to knit. Sadly it is something I can't say could never happen. 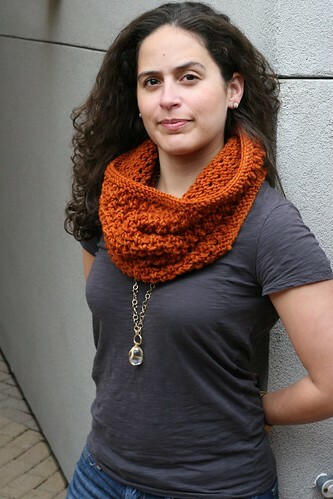 ETA: You can purchase your own Cowl For Nick pattern on both Ravelry and Craftsy! All proceeds will be donated to the ALS Foundation, Team Gleason, and next year's walk for Team Nick! I know I can never repay all that Nick & Debbie have done for me during those years but I hope you'll help me raise awareness and funds to help make a difference in their life and the lives of all those who suffer with ALS. I stumbled upon your page and saw your message about ALS. My mom’ cousin, a family physician in Wisconsin, was diagnosed a year and a half ago. ALS is a terrible disease. It feels good to reach out in some small way to someone else who has been touched by the disease. I made a donation. I wish you the best and thank you for making your unique contribution. This is a great way to raise awareness. I love this pattern & look forward to making it. I’m sure everyone making it will think of you and your friend. I have donated at the linked site. Hi Margaux — I made a contribution — thank you so much for creating a space to support ALS AND knitting. Please email me the pattern for the cowl? cate.creede at gmail dot com. I made my contribution-and love the idea! I raise funds (for over 4 years now) for LLS/Team in Training and have a lot of knitting friends. In the fall, when I start to raise funds again I will create a pattern and use it to support my efforts. What a nice memory you have made for me – donating and connecting with you and a great cause. Donated! 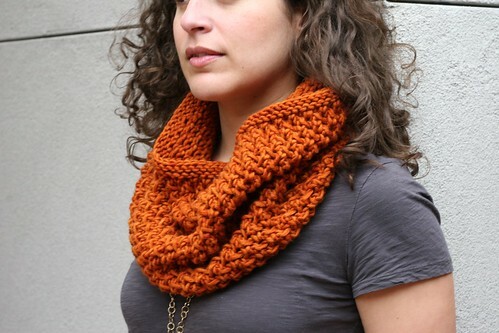 Can’t wait to knit this beautiful cowl. Thanks for caring so much about others. yes! the donation procedure is still the same, you can go to the walk page and make a donation and then email me and let me know! Thank you! Clicked the link to donate and would love the pattern but the page that comes up says the page is not active. can you tell me how to donate/get this pattern? Thanks for the pattern and the story behind it — I knit it in malabrigo chunky and it looks beautiful. Thank you for making and sharing it.